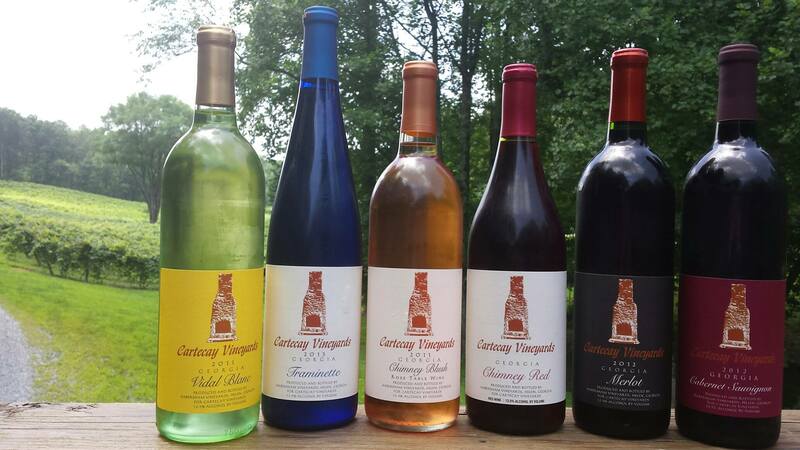 Cartecay is a Cherokee word, which means “Bread Valley.” The land that Cartecay Vineyards sits on was originally a working farm (circa 1890) that grew corn and hay, grazed cattle, and raised hogs and mules. When the folks of Cartecay Vineyards bought the farm in 2007, it had been inactive for a long time, and was quite overgrown. 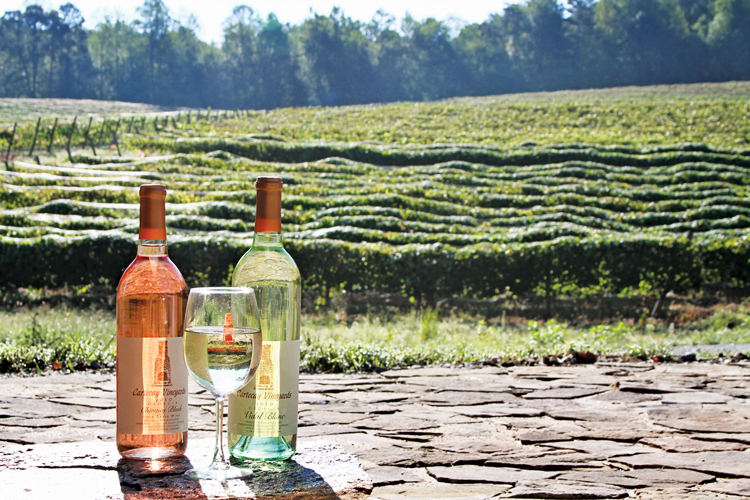 Now the vineyard features nearly 13 acres of planted vineyards, including: Merlot, Vidal Blanc, Traminette, Norton, Catawba and Cabernet Sauvignon. When you visit Cartecay in the mountains of North Georgia, you’ll find a Tasting Barn refurbished from the original 1890s barn. The chimney, featured in the logo, also dates to 1890 and sits in the same spot it did then. A patio surrounds the chimney where you can enjoy live music outside while tasting the wines. 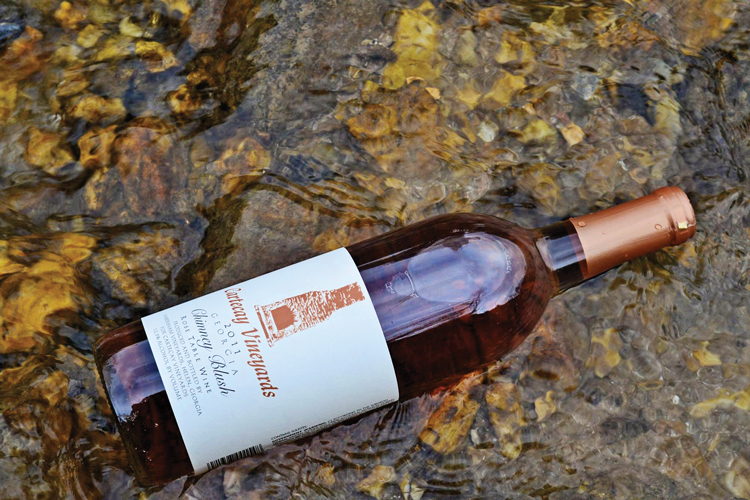 Be sure to take a walk over the small arched bridge and wonder through the vineyards. 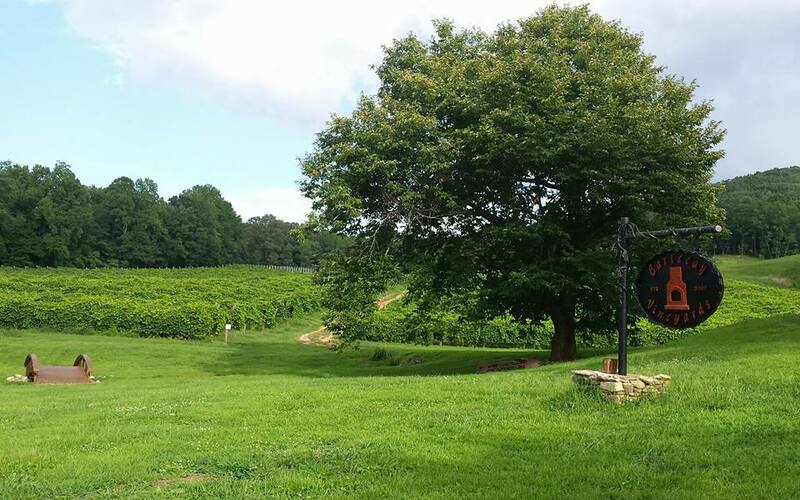 Cartecay Vineyards is part of the newly created Ellijay Wine Country group of five vineyards & wineries located about an hour’s drive north of Atlanta.